Founded by famous Scottish explorer Dr. David Livingstone in 1857. The National Museum of Ireland – Natural History is home to galleries of animals from Ireland and overseas, also geological exhibits from a total collection of about 2 million scientific specimens. 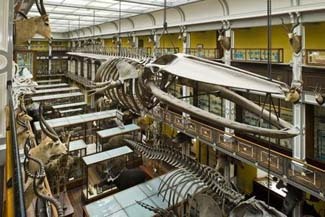 Also known as 'The Dead Zoo', the Museum's 10,000 exhibits provide a glimpse of the natural world and is a ‘cabinet-style’ museum designed to showcase a wide-ranging and comprehensive zoological collection and although it was refurbished in recent years has changed little in over a century.